This feature will focus around the artists and bands that you may or may not have heard of, and produce great music that I think you’ll really really like. It’ll be more of a monthly feature on The Music Blog 42. This month, the artists I will be focusing on are: Sampha, The Sherlocks, Young Fathers and James Arthur. My love for Sampha’s music came about when I was doing work for my college course, and I clicked on a random playlist on Spotify. From there on, I became an instant fan of his music which is obvious considering the first song I heard was the heart-racing Blood On Me. Having heard tracks which he had featured on in the past (Saint Pablo by Kanye West, Too Much by Drake), I was mesmeried by his soulful, angellic voice which is instantly complimented by the fantastic instrumentals which he himself produced. His debut record Process is without a doubt one of my favourites of 2017 so far, with a highlight being the beautiful No One Knows Me (Like the Piano), a tear-jerking ode to his dying mother. His gentle soothing sounds are also shown on tracks like Reverse Faults and Timmy’s Prayer, which shows off his intelligent songwriting and his incredible vocal talent. A definite one to watch for years to come. Listen to: No One Knows Me (Like The Piano) – an emotional heartfelt ballad which shows off his extraordinary talents. Labelled by many as the next big thing out of Sheffield are The Sherlocks, a four piece band focused on making huge indie anthems. Their latest track Chasing Shadows is the epitomie of this, with a soaring chorus and a similar tempo to many of Arctic Monkey’s earlier tracks. Coincidence, don’t you think? I’m not saying that they are going to be as big as their fellow Sheffield rockers, but they are definitely on track for big things. Having sold out nearly every date on their mammoth near-40 date tour in 2016, I think it’s pretty evident that they are one of the best indie live bands out there. They definitely have the back catalogue of tracks for the gigs too, Was It Really Worth It? and Last Night are great singalong tracks which would really get a crowd going. A debut record is released in August, and if they live up to the hype, the world is their oyster. The Scottish hip-hop pop trio are truly incredible. I first started listening to them after they were announced to be helping in curating the T2 Trainspotting soundtrack. And that was probably the best decision I have ever made. I Heard was the first track I listened to, from their EP Tape Two, extraordinary music from such a unique group. Having hit mainstream media with their Mercury Music Prize win for their brilliant record Dead, it’s perplexing why their later releases from their next two records haven’t been more appreciated by a wider audience. Nevertheless, the tracks which do feature in T2 are fantastic tracks which really compliment the film. Rain or Shine is a particular track which is so invigorating that it doesn’t conform to a specific genre, which makes them liked by a more critical audience. Only God Knows is a soulful choir-driven track which is most definitely one of my Top Tracks of the Year. Listen to: I Heard – a haunting track which is just so so incredibly produced. 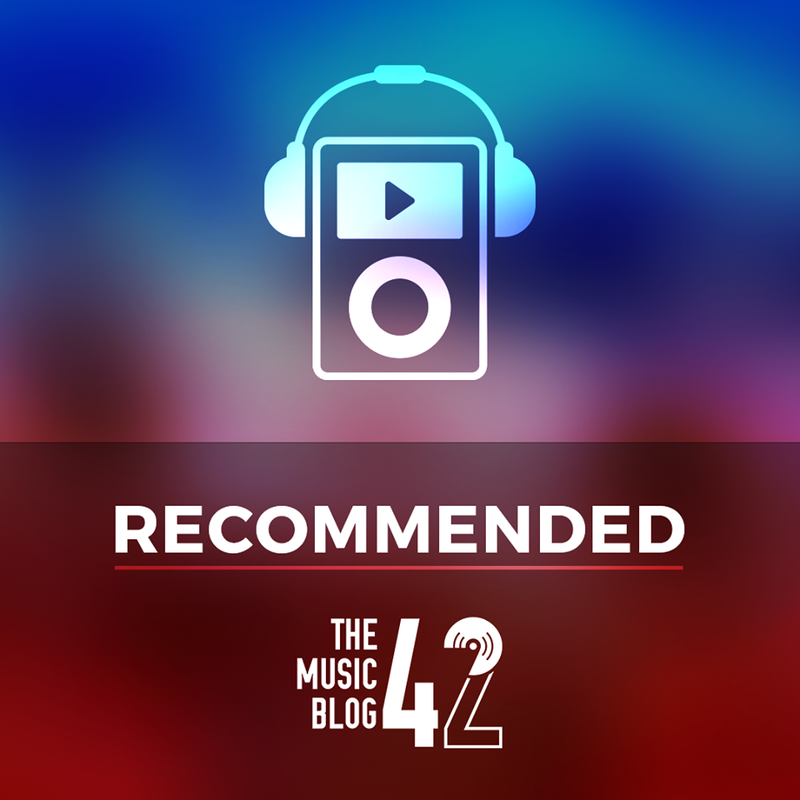 You’re probably thinking why have I included him in my ‘Recommended’ list when he’s from the X Factor and that… But if you listened to his latest record Back from the Edge, you will understand why I am such a big fan of him and his music. Having won The X Factor in 2012, he released a debut record which was decent but somewhat lacking, though he has definitely improved as time has gone on. What Arthur likes to do is write about his struggles with mental illness, notably in the song Recovery which is very emotional but uplifiting. His more recent music focuses on more of the same. Can I Be Him is an emotional guitar ballad, similar to Heart Radio favourite Say You Won’t Let Go, which is so so passionate in dealing with Arthur’s own personal issues. It’s very sad that James Arthur will not be as widely appreciated as Ed Sheeran is because of his very shady past, however I firmly believe he is one of the UK’s best male soloists, and Back from the Edge was one of the best records of 2016.